Butterfly Reflections, Ink. 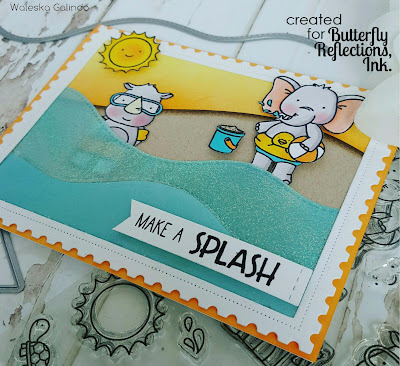 : Make a Splash! 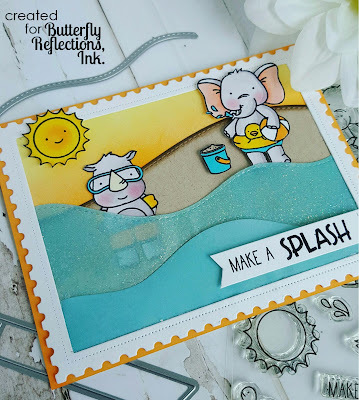 Hello Card Making Friends Waleska today with a full beach card with the cutest Summer Critters from Neat & Tangled I am really loving this set... Which one is your favorite Summer set so far? I started with the background using Distress Inks in colors Squeezed Lemonade and Carved Pumpkin. 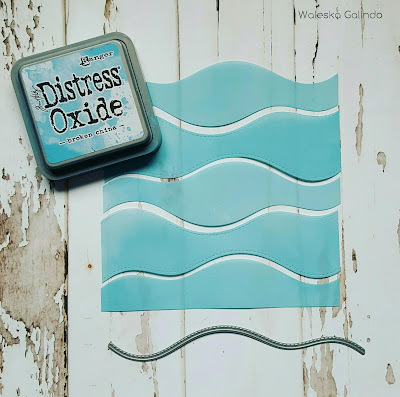 I cut the waves with the Lawn Fawn Stitched Hillside border die in Vellum Paper and colored them with Distress Oxide ink in color Broken China. For the Sand I also used the same die in desert storm cardstock and give it a little color with Distress Ink Walnut Stain. 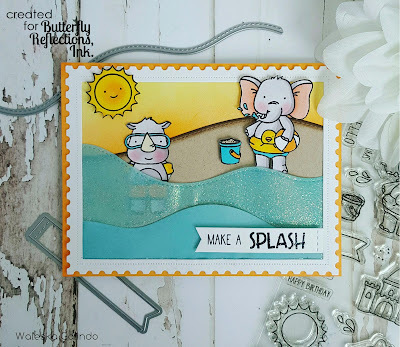 I stamped the cute Neat & Tangled Beach Day critters with Versafine Onyx Black ink and added Clear Embossing Powder. I color them with markers in the same color combo. 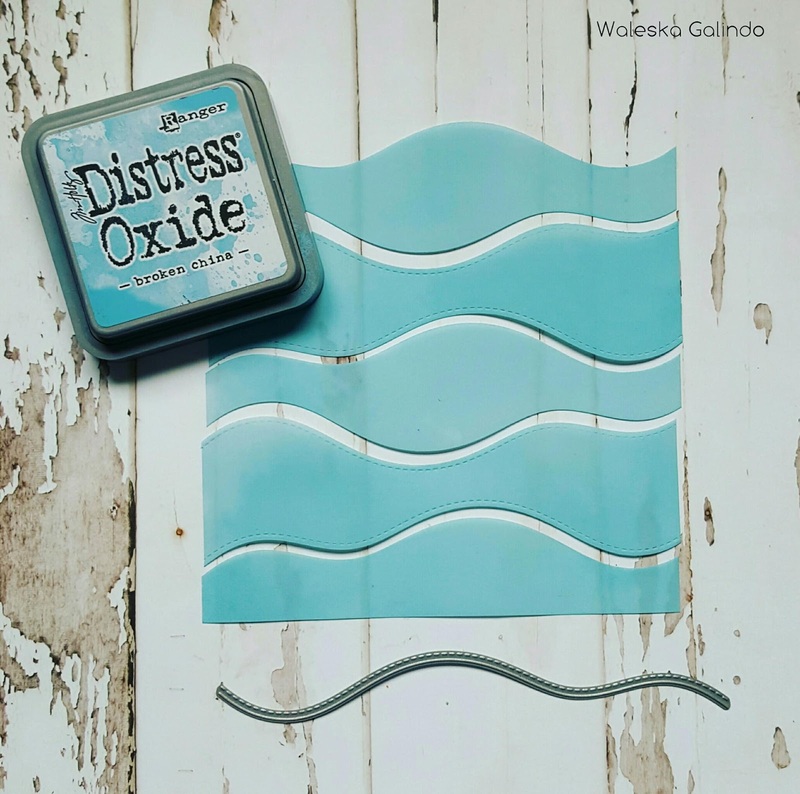 I put Embossing Powder to one of the waves for a sparkling effect and adhere all the elements with Mono Multi Liquid Glue. I finally added the Postage Stamp Elle-ments to frame the cute scene. 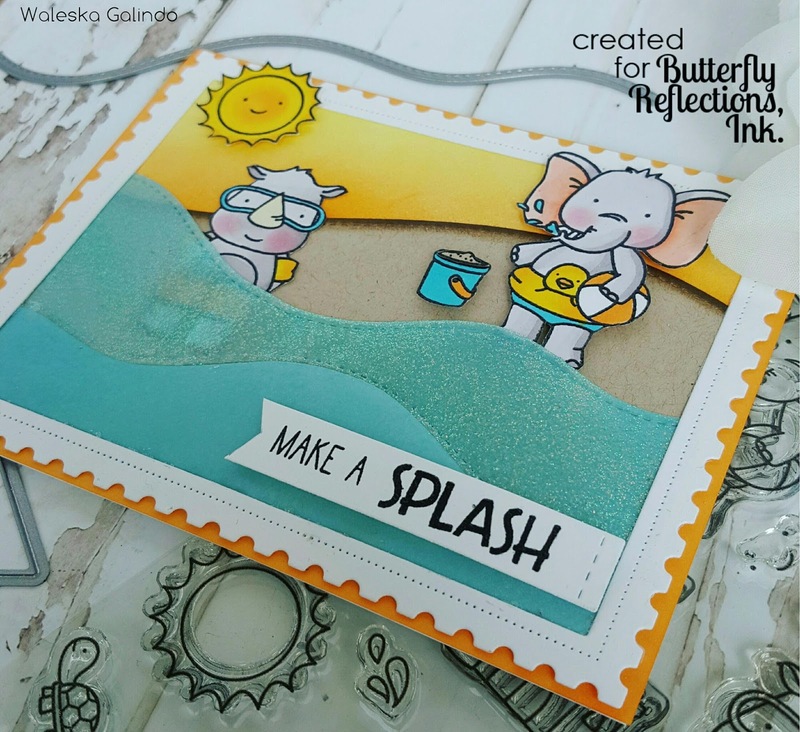 I wanted to create a water look to my card and vellum is great for that!!! I hope you like my project today and you are enjoying your summer time! 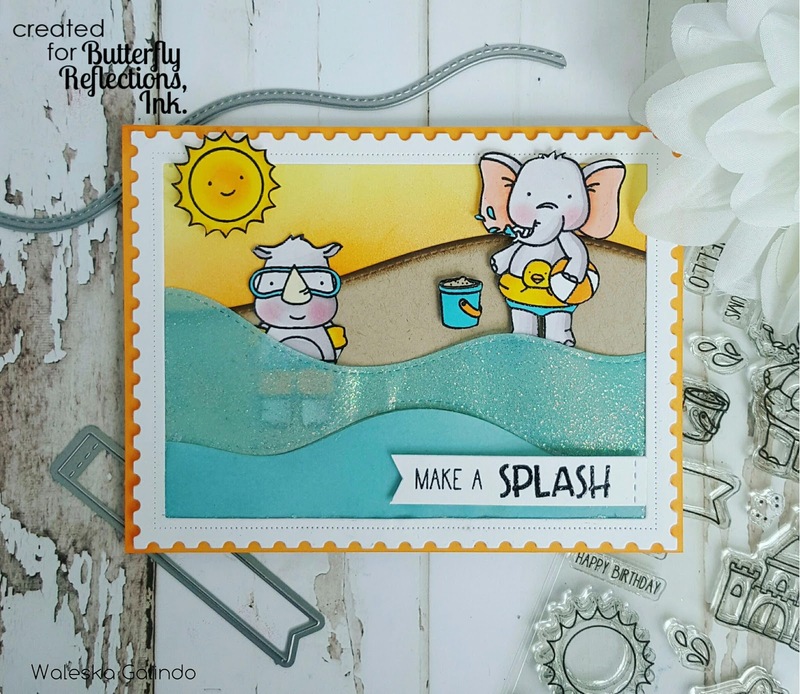 Labels: beach, cute critters, distress ink background, Distress Inks, Elephant, Neat & Tangled, postage stamp ellement, Summer, summer time, vellum, Waleska Galindo, water.